What's The Best Summer Road Trip Destination? We like to say that in any road trip, the journey is just as important, if not moreso, than the destination. Winding roads and great scenery can stop anyone from falling asleep on long stretches, that's true. But if those roads just lead to a waste dump, then what's the point? For the Independence Day holiday I went up to Boston. Boston's a great town. 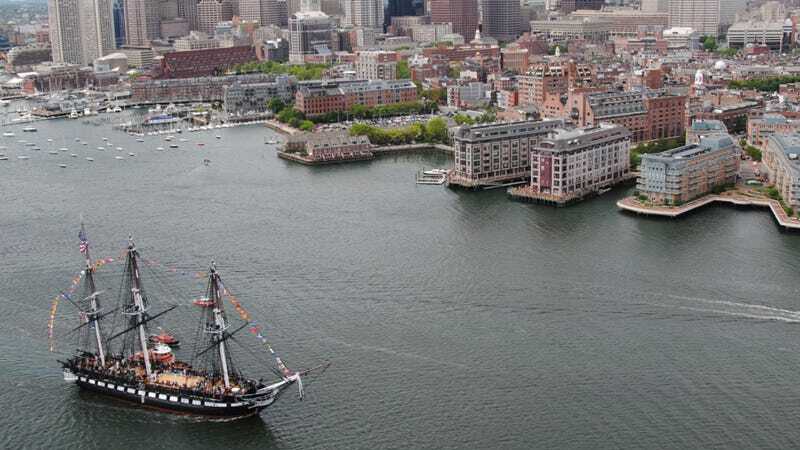 The city oozes history from every pore, whether it's the USS Constitution (the oldest warship still in commission and still afloat) or Fenway Park. Museums abound, from the fascinating MIT Museum to the whimsical Isabella Stewart Gardner Museum, and when you get thirsty you can head down to one of the billions of Irish pubs. But a great location does not a great road trip destination make. Washington, DC, is a neat city to visit. The problem is that no matter which direction you're coming from, you're pretty much limited to long stresses of infinitely boring Interstate, filled with nothing but big rigs, warehouses, and the occasional outlet mall. When driving to Boston, though, you can avoid the Interstates altogether if you want and just head down twisty New England lanes, with stops at Lime Rock and Mystic Seaport along the way for all your Jalop-worthy pitstops. You've already got your ultimate summer road trip vehicle, why not suggest a place to drive to?